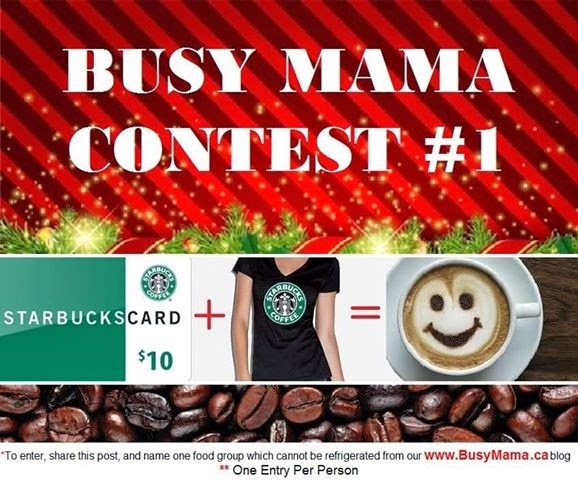 Here goes our first December giveaway from the generous Starbucks folks ($10 gift card and T-Shirt)! To enter - share this post on facebook, and name one food group which cannot be refrigerated from the busymama.ca blog. Winner will be announced on Saturday, Dec. 6, so hurry and enter quick!